We accept payment in kash, cheque, email transfer and Kanadian Tire money. We kannot process kredit or debit kards. Add some deep flavour to your food and drinks. At k2MILLING we do things a little differently. We decided that flavour was the most important thing a flour mill should shoot for. A flour mill did not exist that kould provide this akross the vast spectrum of grains and other plant material we wanted to mill. So we kreated one, from skratch. Drive north of the city of Toronto and see for yourself. 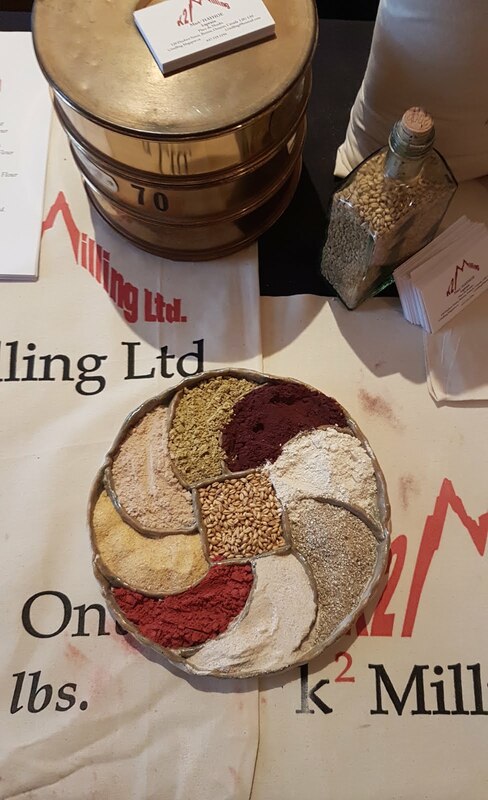 Day in day out, we mill 4 u. Ontario's galaxy of grains milled into grits, meals and flour. Over 82 harvests of experience are working @ daily grind 4 u. Barley, Rye, Oats, Millet, Dent Corn, Flint Corn, Soft Winter Wheat, Hard Winter Wheat, Hard Spring Wheat, Sorghum, Hemp, Flax, Soyabeans, Spelt and Buckwheat. Roasted and Malted Ontario grains available as well. 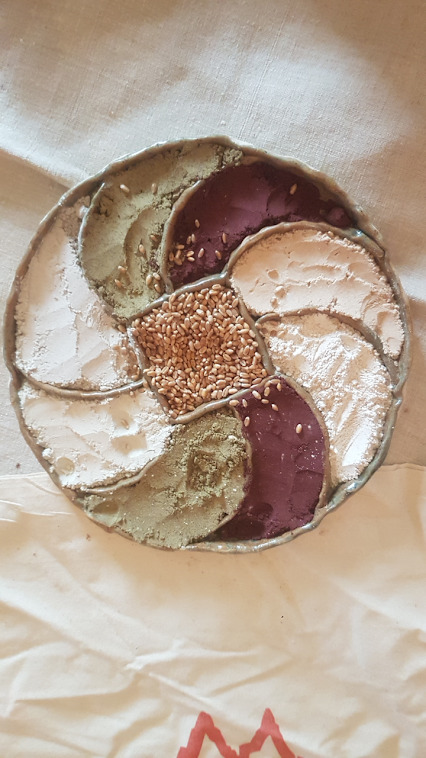 We also kan mill flour from Amaranth, Teff, Quinoa, Khorasan, Rice, Lentils, Chick Peas, Beans, Peas, Blueberrys, Cranberrys, Apples, Broccoli, Kale, Cauliflower, Beets, Karrots, Bran, Hulls and Pumpkin seed meal. Need something else milled, kontakt the kaptain. 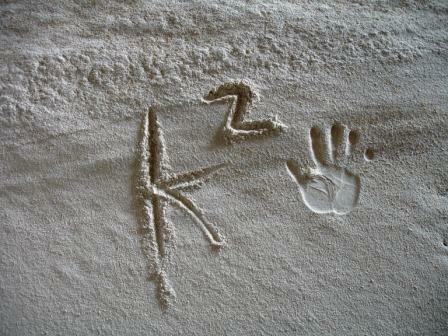 FLOUR; milled the k2 way. Hands on; milling heritage back to 1935. The mark of great flour. Klik the pik for more information. The plant seeds we mill into flour kontain karbohydrates, proteins and lipids. They also kontain enymes, vitamins and minerals. This chemistry is well dokumented and widely available. At k2MILLING, we wanted to know more. We wanted to get behind the facts, of the seeds of plants. A seed's first purpose is to rekreate life. When konditions are optimal the seed will germinate. Moisture and temperature are the key variables. The mature seed longs to germinate, this is it's dna, this is it's destiny. The uptake of water by a dry seed is called imbibition. As seeds imbibe water, they expand and enzymes and food supplies become hydrated. Hydrated enzymes become active and the seed's first source of energy is found in the lipids in the germ. The first part of the seedling to emerge from the seed coat is the radikal. The emerging radikal bekomes the root. Next to develop is the shoot, which klimbs through the soil towards the light to obtain energy from sunlight through photosynthesis. Once a seedling emerges into the light, the plant undergoes dramatic changes such as turning green and producing leaves. This light-dependent developmental transformation is kalled photomorphogenesis. When we mill these seeds into our whole grain flour, all of these komponets necessary for new life are kept together. The komponets for sustaining life of a new plant are still found in our wholegrain flour. We designed our mill to achieve this whole grain harmony and a wonderful by-product of this grinding against the grain was...... the retention of flavour. No other flour mill on the planet was designed to achieve this. So we built one. Are you ready to open a bag of happiness? FREDERIK flour and farine du Merlot. k2 sourdough starter. 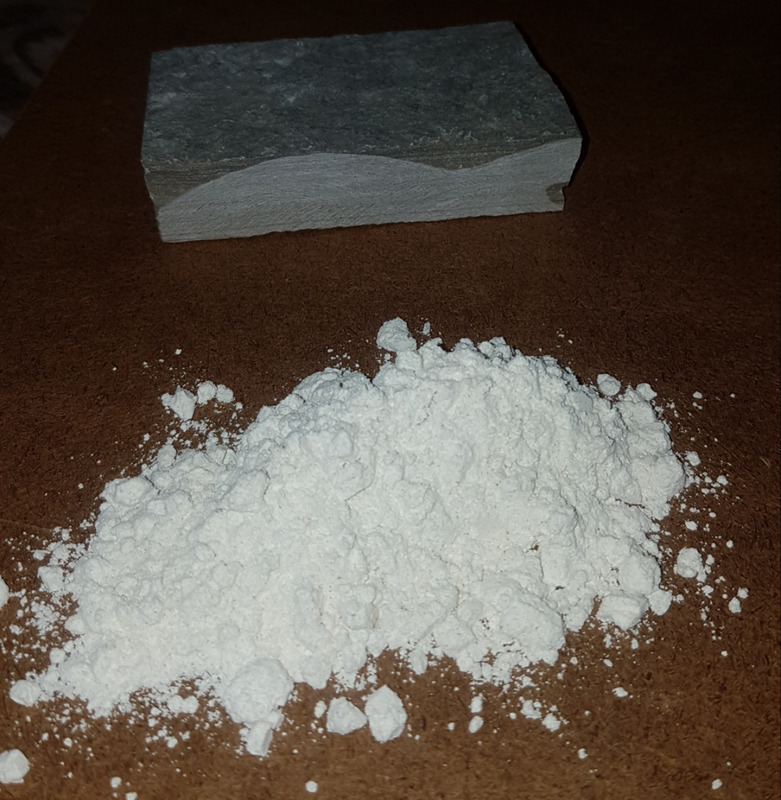 Kake flour from soft winter wheat. OUR FARM Bakery. Lokated at Market & Co. in Upper Canada mall in Newmarket. 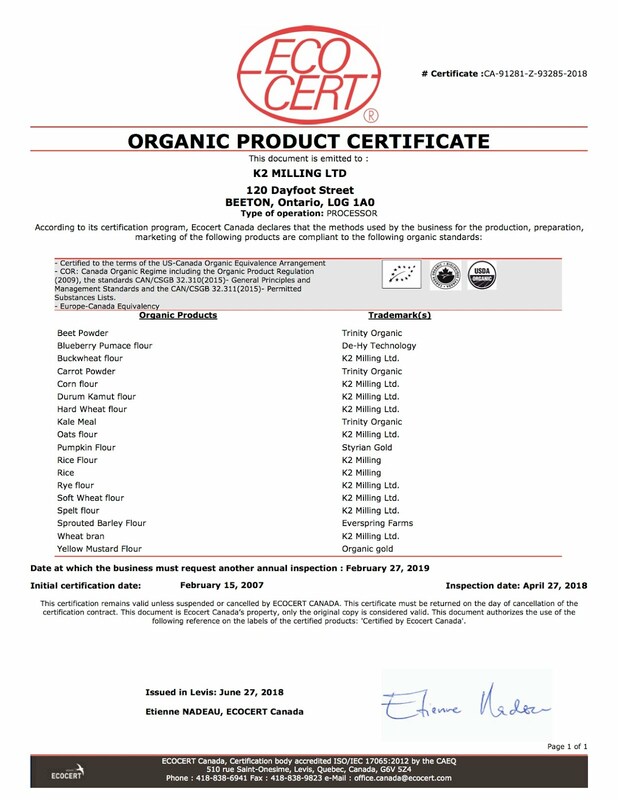 24 years of organic flour milling. Grind on. What kind of flour are you looking 4? We are not a run of the mill, flour mill. We kan produce flour from cereal grains, oilseed meals, beans, lentils, peas, dried vegetables and fruits. We kan offer high protein flours, low protein flours, high fibre flours, low fibre flours, high energy flours, low gluten flours, high gluten flours and multigrain flours. Bring us your products and we will mill them 4 u. We have 83 harvests of experience, milling Ontario's agrikultural bounty. 100 km FOODS picks up at our mill four times a week and kan bring our flock of flour to your door. Larger orders? Please kontakt us directly. 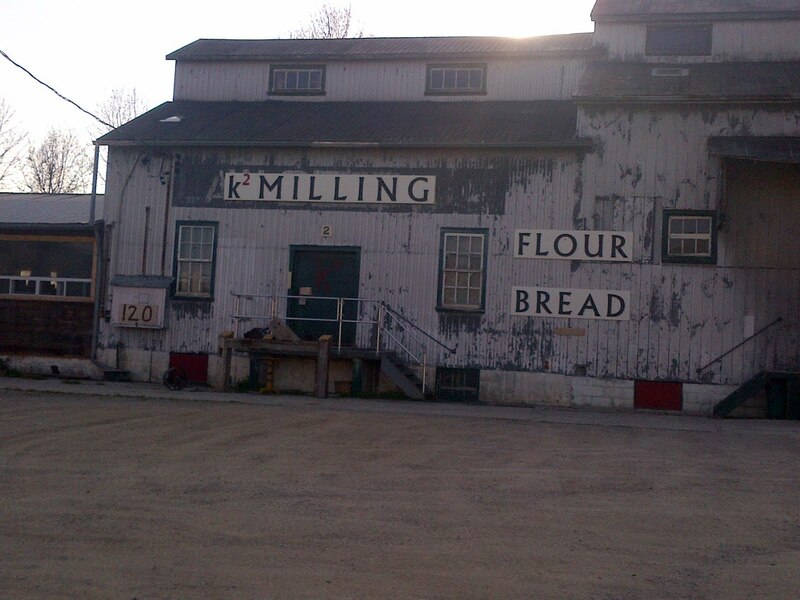 k2MILLING is the evolution of flour milling in my family going back to 1935. HAYHOE Bros. - HAYHOE MILLS - k2MILLING. Food business roots go much deeper into the terroir of Toronto. 1891: R.B HAYHOE Foods was started on Jarvis Street, close to the St. Lawrence Market, MOUNTAIN BLEND Coffee and FLOWERDALE Tea. 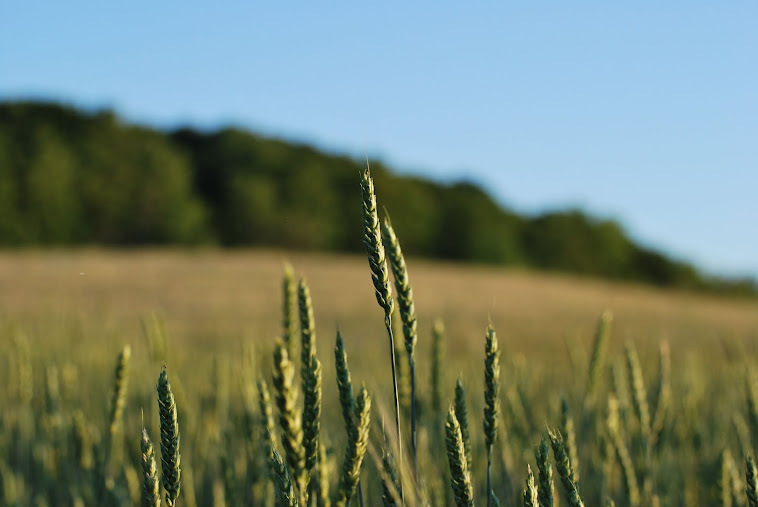 Over one million tonnes of grain have been ground by HAYHOE Millers in Ontario. 1891 - 2019. Grind on. k2 4 u ok2 k2 pour vous Do u k2? Avez vous k2? google the googler. Watermark theme. Powered by Blogger.